The Wandle Park Village Site occupies an area of 5.3 hectares bounded to the south by the Purley Way Retail Park, to the north by large retail outlets, to the east by the Croydon Light Railway and to the west by Purley Way and residential properties. The site historically formed part of the Croydon Gas Works – the gas works infrastructure was decommissioned and removed from site during the late 1980’s / early 1990’s. The site is being developed by Barratt London for a mixed end use (residential and commercial). The proposed development is shown in an artist’s impression. 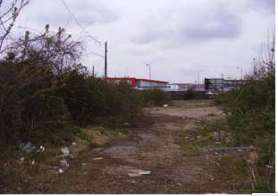 Extensive site investigations were undertaken in the 1990s by Mott MacDonald, Harrison & Co and Atkins. The investigations identified the presence of widespread contamination across the site reflecting the historical use of the site as a gasworks – the prime contaminants of concern included BTEX, polyaromatic hydrocarbons (PAHs), phenols, total petroleum hydrocarbons (TPH), total / free cyanide, metals and ammonia. Remediation works were subsequently undertaken during the period 1998 – 2001. These remediation works were carried out by Atkins / Erith, Atkins / VHE and Atkins / Remedex and comprised of source removal with associated groundwater treatment, removal of concrete / brickwork foundations (and associated contaminated soils) and groundwater remediation respectively. Remedex identified additional contamination areas including the presence of a DNAPL plume in the northern area of the site. Further site investigations were undertaken in 2001 / 2002 and 2005 by Geotechnical Developments / Sinclair Knight Merz and WYGE respectively. These site investigations were primarily designed to determine the ground quality following the initial remediation works and in relation to the proposed development. The investigations were also designed to provide supporting information in relation to the proposed diversion of the River Wandle.